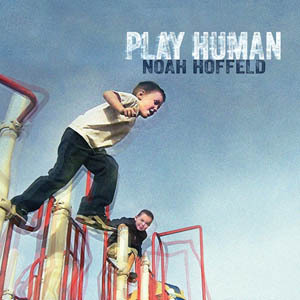 From the opening strains of the title track, Noah Hoffeld’s Play Human drew instant connections to the vocal and rhythmic style of Low-era Bowie. The album, in fact, has an eternal experimental ‘80s vibe to it, in the best way possible. It feels like you’re listening in to a previously undiscovered musical landscape, one that’s inhabited by avant-garde aliens of the musical variety. Hoffeld is a classically-trained Julliard graduate, but I find that the comparisons to that background start and stop with that statement. Of course having a solid base in intricate arrangement and performance talent is a massive benefit, but it’s really all about how that gets translated into a more contemporary rock format. There is certainly a place for what Hoffeld terms “cello rock” in the modern musical landscape, we see nods to string arrangement in all types of genres; but that dark and passionate cello line adds a sense of grandeur and texture that complements Hoffeld’s unique vocal work o great effect. Hoffeld’s nod to Bowie and The Beatles is evident in his work. Songs like “Stop Slow Down” and “Woman and a Man” play with powerfully classic arrangements that could very well appear alongside the aforementioned artists on any playlist and feel comfortably in place. There is great strength in both of those songs as well as the intriguing “Flirting with Disaster,” a track that pushes Hoffeld’s focus even further. Its brooding buildup is incredibly effective, and shows off the maturity of its songwriter. 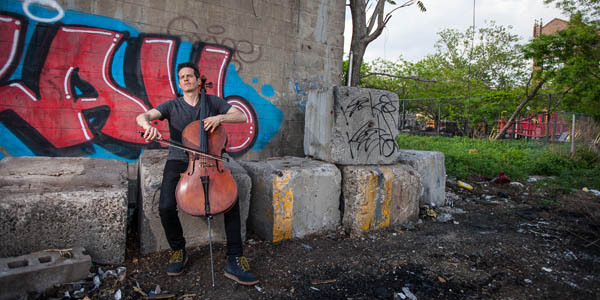 Hoffeld’s brand of cello rock is confident, experimental in nature and succeeds in achieving grand heights on Play Human. He seems to have fallen through time at moments, boasting a robust and dynamic range of work that is inspired and inspiring. Artists just don’t make this type of work anymore; it’s ambitious, assertive and musically very satisfying to hear. Along with the passion there is a great deal of expert playing to back it up. Hoffeld will not doubt continue to evolve and shape his own path far beyond this record.